Browsing the archives for the Politics category. Despite its populist image, the governing Fidesz party is still very much a bourgeois party, at least in Budapest. Conversely, electoral support for the far-right Jobbik in Budapest tends to be stronger the poorer a neighbourhood is. On the other side of the political playing field, the five-party socialist/liberal opposition alliance had roughly equally strong (or weak) support in wealthier and poorer districts alike. 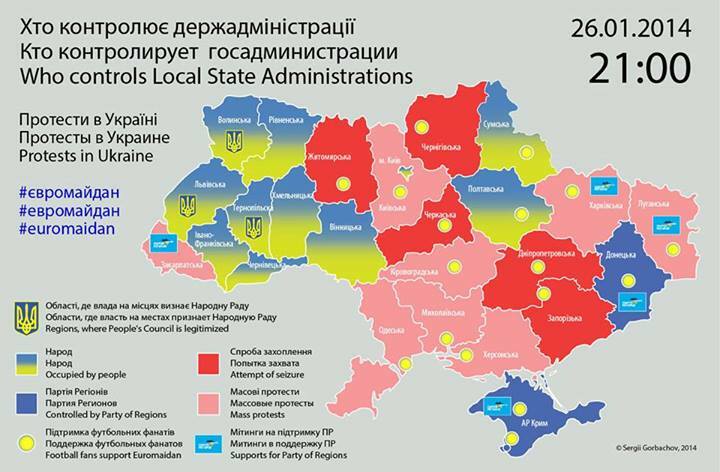 But when those parties run separately, their support reveals very differing geographic patterns. All of this is suggested by a series of scatter plots I created, which chart the results of Hungary’s general and European elections earlier this year in Budapest’s 23 districts against gross income per capita levels in those districts. Check out the Infogr.am embedded below the fold – although you might prefer to view it on the Infogr.am website itself, where the charts are square as they are supposed to be rather than rectangular – that’s just the format of this blog distorting them a little. 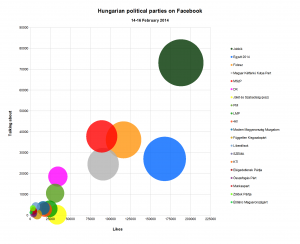 The electoral geography of Budapest, as it relates to income levels, does not necessarily follow the same logic as that of Hungary as a whole. For example, in the European elections at least, the Socialist Party (MSzP) did seem to do better in the poorer, working class districts of Budapest than in the more prosperous ones. But at the same time, the party’s results in Budapest as a whole were the best it received across the country, even though Budapest is also the most prosperous region of the country. The relation between Fidesz and Jobbik votes and income levels in Budapest also appear to be quite different from how they work out in some of the other regions. The fact that a party does best in the richest (or poorest) areas doesn’t necessarily mean it also does best among the richest (or poorest) voters. The United States is the classic example of this paradox: Democratic presidential candidates tend to do best in the most prosperous states (e.g. the Bos-Wash corridor and the West Coast) and worst in the poorest states (e.g. the Appalachians and the Deep South). But exit poll after exit poll has confirmed that, although the correlation is becoming weaker over time, the party does better among lower-income voters and worse among higher-income ones. However, since we’re dealing with data by city district rather than by whole states here, such a paradox should be less likely to occur. 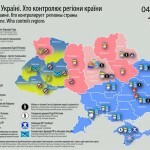 As Washington Post blogger Max Fischer illustrated with what he called “the one map you need to understand Ukraine’s crisis”, the current protests and revolts in Ukraine are fierce, but largely limited to the north and west of the country, which is right in line with the pattern revealed in the 2010 election outcomes. 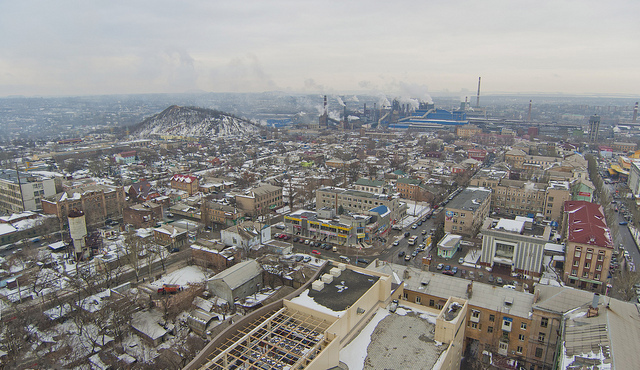 It’s no secret that the same broad geographic divide appeared, time and again, in most of the elections since 1991, when Ukraine gained independence. For convenience’s sake, I gathered electoral maps for all the presidential and parliamentary elections in those twenty years (as well as the 1991 independence referendum), in one big overview file. All of those maps are from Wikimedia/Wikipedia. Oddly, the candidates actually running for presidential office sometimes seemed irrelevant to the geographic divide itself. In 1991, the former dissident Viacheslav Chornovil was the worthy but politically weak candidate who won only in the Galician northwest of the country, while former apparatchik Leonid Kravchuk based his landslide victory on wide support in the south and east. 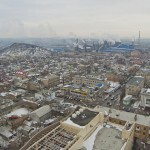 But in 1995, the roles were reversed: Kravchuk won constituencies across the north and west when he lost his reelection bid against Leonid Kuchma, who swept the vote in the south and east. Those elections marked the first real time that the electoral map showed a dividing line right down the middle of the country that would start marking election maps again in every major election after 2002. But it gets stranger still: move on to 1999, when Kuchma faced a Communist Party candidate as opponent in his reelection bid — and it was Kuchma who won almost all of the north and west, while support for the communist candidate was based mostly in the south and east. There is one further geographic wrinkle of note in these maps, and that is how the Transcarpathian/Ruthenian region constitutes a bit of an outlier within the northwestern half of the country. That’s the region midway on the left side, where the country’s borders take a turn east to curve around Romania, which is often coloured differently from all the surrounding territories. It can’t be a coincidence that the historical background of that region is wholly separate. 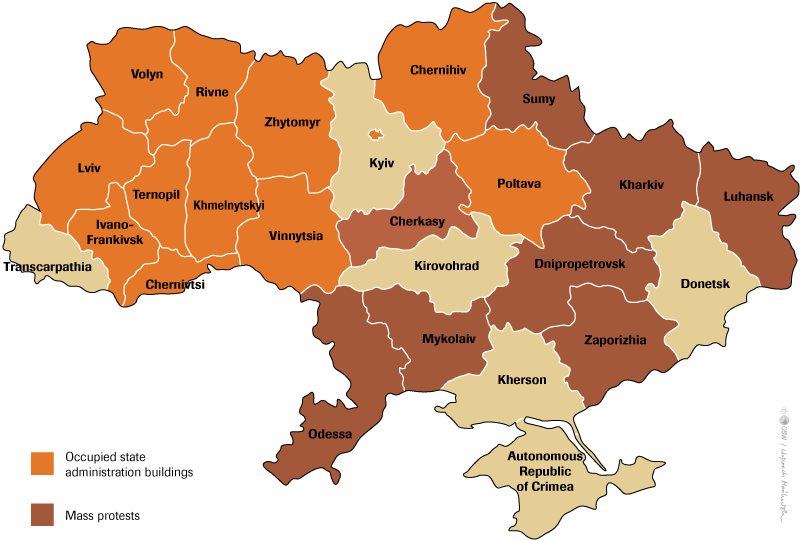 Whereas the rest of northwestern Ukraine used to belong to the Polish-Lithuanian Commonwealth, and much of it to interbellum Poland as well, this region was belonged to the Austro-Hungarian empire until WW1, and to Czechoslovakia between the two world wars. When it comes to elections, history can be destiny. A map overlaying the borders between Imperial Russia and Imperial Germany on the Polish election results of 2007 has done the rounds online among map geeks for a few years because of the striking correspondence it reveals. 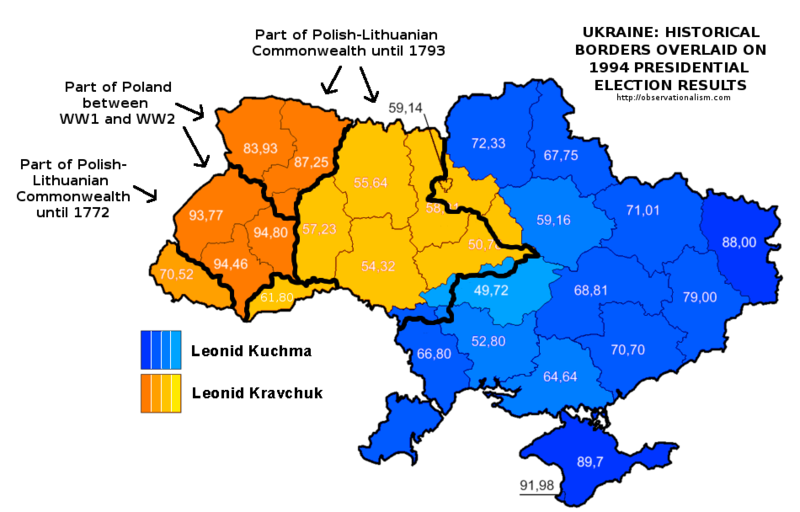 And on a Reddit thread about these Ukrainian election maps, commenter Martin Keegan pointed out that “the boundary is where the old Polish-Lithuanian – Russian border used to be,” an idea he previously proposed on his blog. 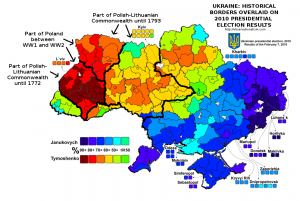 That piqued my curiosity, so I ventured on an effort to do a similar overlay to the Polish one: how do the old Polish and Lithuanian borders with Russia overlap with Ukraine’s current political polarization? It was more of an effort than I’d have thought. 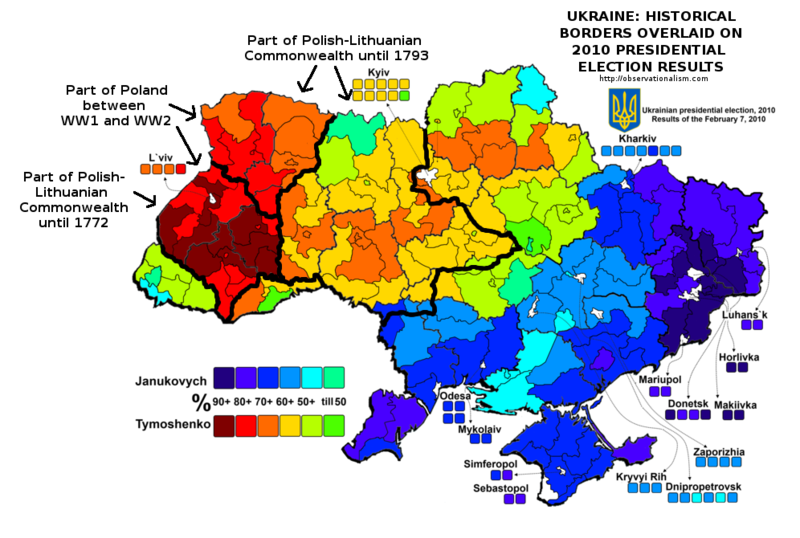 But here is the result, overlaying different historical borders on the 2010 Presidential election results. It turns out that Keegan wasn’t entirely correct about the old Polish-Lithuanian – Russian border – but he definitely had a good point about the continuing salience of historical borders. Check out how the territory that still belonged to Poland in between the two world wars overlaps with the most overwhelming support for Tymoshenko (click the map to enlarge). There are, however, also ways in which history is conspicuously not destiny. Or at least not in ways that are immediately obvious or make sense intuitively. 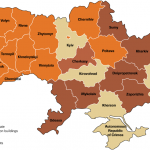 Check out this map of the Holodomor – the genocidal, man-made famine that struck large parts of Ukraine, which is often blamed on indifference or outright malice on the part of Stalin and his regime. Compare it with the post-independence electoral maps, and any overlap is … hard to see. If anything, the Holodomor was most devastating in areas that now habitually side with Russia-friendly politicians like Yanukovich. Which doesn’t immediately make instinctive sense. The historical borders are approximate, though I did my best to be precise. As source material I used a map of Northeastern Europe around 1700; a Wikimedia map of the Polish-Lithuanian Commonwealth anno 1789; a Wikimedia map of Poland after the Second Partition of 1793; the detailed 1794 Laurie and Whittle map of the Kingdom of Poland; and an administrative map of Interbellum Poland in 1930. 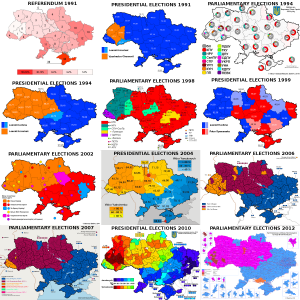 In addition, I used the Wikipedia page and subpages on the administrative raions of Ukraine, and a detailed Ukrainian Wikimedia map of the electoral multimandate raions of the country. Delineating the far eastern border of the Polish-Lithuanian Commonwealth was a bit difficult since some settlements like the erstwhile Krylov that were right on the border back then have long been submerged in the Kremenchuk dam reservoir. In the south, the problem in defining how the historical border overlaps with current territories, lacking more detailed maps, lies with the transfer of Transnistria to Moldova. Last Sunday, Egypt’s Supreme Electoral Committee announced the results of the referendum on the new constitution: no less than 98.1% of Egyptian voters had cast a vote in favour of the new text. That Eastern Block-style result should, however, be placed in the context of a turnout of just 38.6% — surely a less resounding affirmation of the new regime than the army would have hoped. Turnout reached up to 51-53% in the governorates of Menofiya and Gharbiya, in the Nile Delta, and Port Said; but it stayed under 24% in the governorates of Matrouh, Fayoum, and upriver in Sohag and Qena. How does this result compare with the turnout and “Yes” vote in 2012, when it was the Muslim Brotherhood government that was pushing through a constitutional referendum? 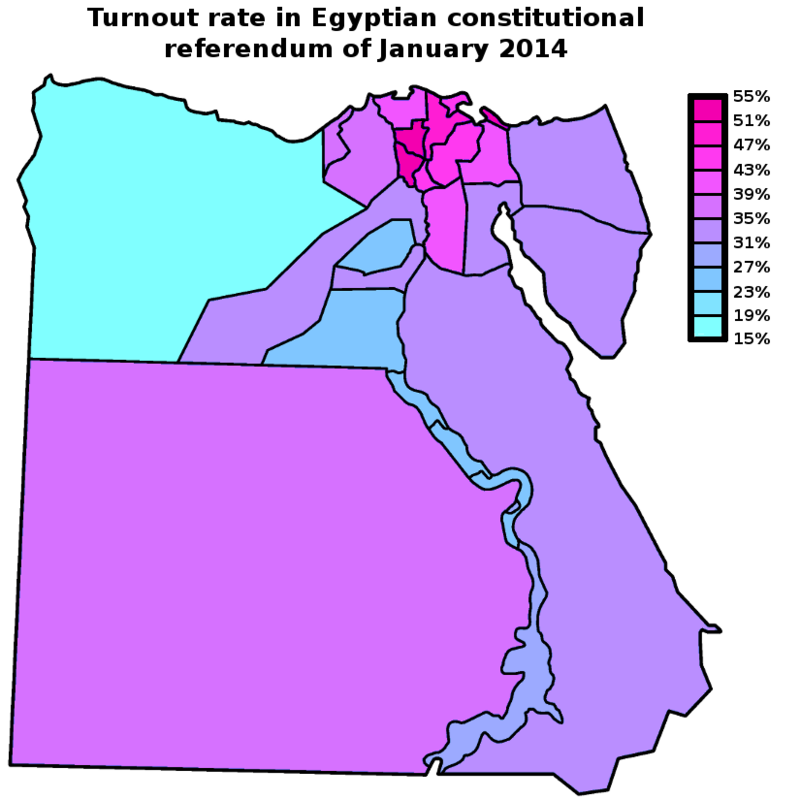 In addition, what does the turnout map reveal about the political geography of Egypt? The current referendum was of course boycotted by the Muslim Brotherhood, as well as by the most radical of the revolutionary groups, the April 6 Movement. The April 6 Movement is relatively small, however, and the constitution was supported by many other liberal and radical groups (and the extent of popular support for the liberal and leftist groups is in any case in doubt). So were the areas of low turnout correlated to areas of high support for the Muslim Brotherhood? The trick in comparing the results of this year’s referendum with the one two years ago is that you’re dealing with two separate elements: the turnout, affected as it might be by boycotts and apathy, and the percentage of actual “Yes” voters. This year, turnout was low, at least by international standards, but almost everyone who went out to vote, voted “Yes”. 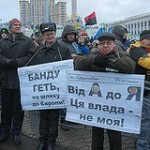 (Considering the current climate of repression, opponents might also not have dared to come out to vote “No”). 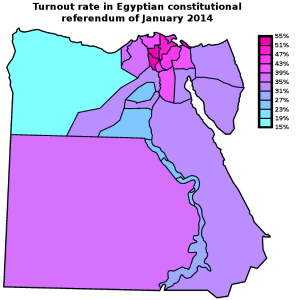 However, in the 2012 referendum turnout was even lower, at 32.9%, and in addition, there was a substantive number of people who came out only to vote against the Muslim Brotherhood’s constitution. To take account of both elements, in the table below (click for full size), I’ve taken the turnout and “Yes” vote percentages in each referendum and calculated the number of “Yes” voters as percent of all eligible voters. I also did the same for the results of the second round of the 2012 presidential election, when Brotherhood candidate Mohamed Morsi faced off against Ahmed Shafik, widely associated with the ancien regime, army and “felool”. In short, especially when you take turnout into account, the army’s referendum this year fared much better than the Brotherhood’s proposal two years ago. Then again, context is important. The army inundated the airwaves and streets with propaganda, whereas even just carrying flyers against the constitution could get you harassed or arrested. Morsi’s government was repressive in its own ways, but the campaign back then wasn’t anywhere as one-sided, with the opposition holding public rallies in Tahrir Square and elsewhere. The direct comparison in this table shouldn’t therefore be taken simply at face value. 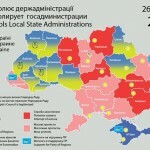 One thing it can be useful for, I think, is to identify local and regional electoral patterns. Yes vote 2014 as percent of eligible voters + Shafik vote as percent of eligible voters - Yes vote 2012 as percent of eligible voters - Morsi vote as percent of eligible voters. By this calculation, the Faiyum and Matruh governorates are the only real Muslim Brotherhood strongholds, where Morsi and the 2012 referendum fared much better than nationally, and Shafik and the 2014 referendum fared much worse. Beni Suef and Minya follow at some distance. Those are also the only four governorates where a higher percentage of all eligible voters turned out to vote “Yes” in the 2012 constitutional referendum than in the 2014 one, though the difference in Beni Suef and Minya was small. (It might be worth noting, though, that Morsi didn’t win Matruh in the firstround of the 2012 presidential elections; it went for Abdel Moneim Aboul Fotouh, a former Brotherhood leader who built his campaign on a hybrid coalition of moderates and Salafis). On the other hand, by this calculation, Monufia and Gharbia are by far the strongest army/establishment bulwarks, but Dakahlia, Port Said, Qalyubia, Cairo and Sharqia all rank highly here too. There is another, less obvious dimension of these results though, which interested me when I noticed that the people of Aswan, Qena, Sohag and Luxor appear to not have particularly liked any of the choices. In these governorates, both the “Yes” vote in 2012 and that of 2014 (as percentage of all eligible voters) stayed below the national average. And turnout in the second round of the presidential elections there was low enough that both Morsi and Shafik failed to reach their national average score, as percentage of all eligible voters. That’s why I added that last column in the above table. I dubbed it the “engagement score”, but it’s really nothing more than just the average turnout in the three elections. Interesting to me is that Cairo and Alexandria actually rank somewhat highly on this score. All of the options on these ballots (the two draft constitutions and the candidates in the second round of the presidential elections) were disliked by some or all of the liberal and left-wing groups — which you’d expect to be be overrepresented in the two main cities. But if their supporters took part in the boycotts, it didn’t have a marked additional effect: turnout in the two cities was actually around or a little above average at each of these three times. Which is a lot more than can be said about the upstream and some of the out-country governorates. So this might further underscore the relative impotence of these groups. The call from some radical groups, like the Road of the Revolution Front, to take part in the 2014 referendum but vote “No” also obviously achieved little. The correlation between the two above maps also suggests a strategic problem for the Muslim Brotherhood (though it is obviously more concerned with more immediate threats at the moment). 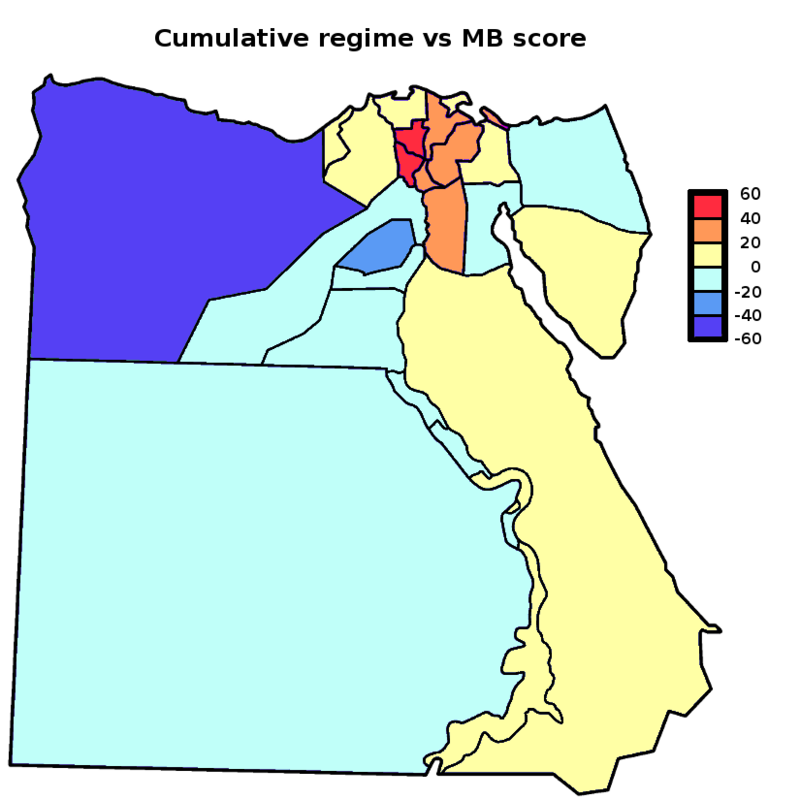 Most of the governorates where the army/regime appeals least, judging on the 2014 results and Shafik’s 2012 result, also seem to be among the lesser-energized governorates overall, which weren’t particularly motivated to turn out by either of the two sides in these elections/referenda. After all, Faiyum, Matruh and Minya didn’t just massively boycott the 2014 referendum; in 2012 turnout there was barely over the national average, and in the 2012 presidentials Morsi can’t have inspired them too much either, because turnout was either just around the national average or, in the case of Matruh, much below it. 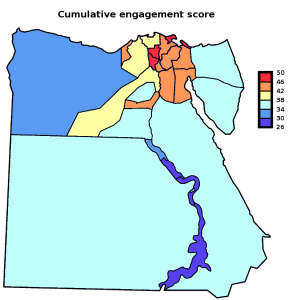 (Beni Suef is the exception, with an above-average ‘engagement score’). Socialists – in the United States – almost [?] winning office in major cities. When’s the last time that happened? 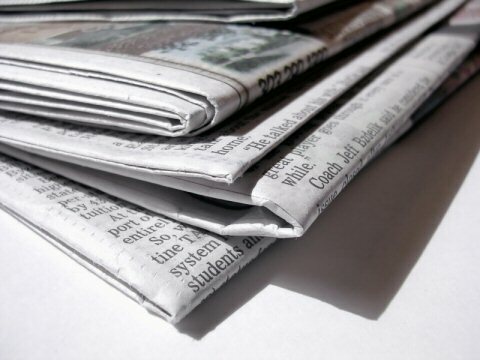 While the attention of most American journalists and politigeeks on Tuesday was justifiably focused on the state-level races in Virginia and New Jersey, there was an array of other state and local elections in the US too, including mayoral elections in range of major cities. Even further down into the weeds, however, was an unlikely feature. Real, dyed-in-the-wool, third-party revolutionary socialists, almost winning office in major cities. When’s the last time that happened? Sixty years ago? 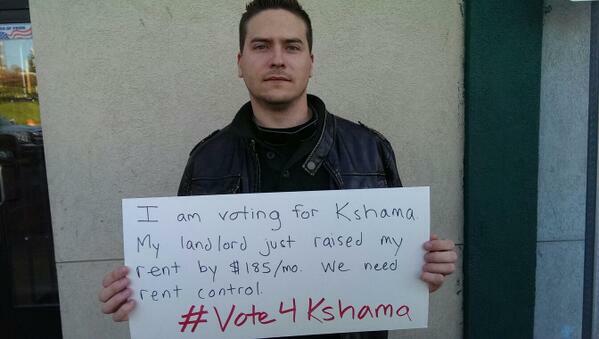 In Minneapolis, a Socialist called Ty Moore received 37.5% of the vote in the elections for a city council seat there. It was a much smaller race, though, with Moore getting 1,565 votes. Democrat Alondra Cano is ahead in that race, having received 40.7% of the vote (1,696 votes). Since neither won over 50% of the vote, this means nobody was elected yet, though Cano looks best positioned to win it. 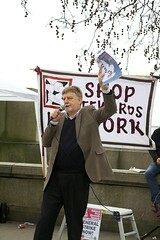 These are not some kind of Francois Hollande-type ‘Socialists’ either. These are revolutionary socialists, affiliated to a Trotskyite party. They mean it, man. In Seattle, the Democrat who did win the seat [or did he? 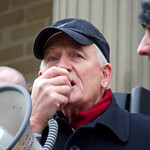 See update above], Richard Conlin, is apparently pretty progressive himself – a local station calls him “a darling of the Democratic party with left-leaning views”. Which makes it all the more surprising/impressive that Sawant got as far as she did. According to the city’s archivist, no socialist ever was this close to winning a city council position in Seattle – even including the halcyon days when Eugene Debs won 10%+ in the Western states (and over 20% in Snohomish County, next door to Seattle). In Minneapolis, officially the race is still open. Instead of organizing a second round election, in the city’s Australian-style system of instant-runoff voting the vote counters will now redistribute the votes for each of the minor candidates who pooled the remainder of the votes, according to the second preferences indicated by their voters. And they’ll keep doing that until one of the frontrunners hits a majority. Since all but one of the also-rans were Democrats, however, I guess that makes it likely that Cano will win. The exception is a progressive-sounding candidate running under a “Politics with Principle” label – there was no Republican in the race – and he received 8% of the vote. But if his voters were perhaps inclined to give Ty Moore their second preference, they will in turn probably be outweighed by those of Abdi Abdulle, who received 7% of the vote and whose website touts Cano’s recommendation to give Abdulle second preference votes. I assume it would be hard to guess where voters go since Cano is no conservadem either, even if she was endorsed by the local Start Tribune for being “the pragmatist” in the field; she presents herself as a union-endorsed progressive. We will know soon enough – right now, the city is retabulating the mayoral election results, and Moore’s Ward 9 will be the second race being tallied up in full after that. (Update: retabulating the results of the 35 candidates who took part in the mayoral election took so much time, work on the remaining races will be continued on Friday.) But considering that Cano has more second preferences as well as first choices than Ty Moore, there would have to be some kind of very lopsided proportions in how the voters of the two candidates exchanged second preferences for each other’s candidate for Moore to pull it out. Personally, I am no particular fan of Trotskyites; I have little sympathy for communists in general. They have done untold harm in my adopted home country, and many other countries alike. I personally feel that “1917” subverted and misdirected much of the socialist movements that had been growing in influence, and plagued it ever since. But it’s not like the Trots will soon be taking over the US. Conversely, the long trek through the desert which the once-proud socialist American tradition has gone through this past century has been dispiriting enough that the success of any kind of socialist, no matter of what orientation, is a little exciting. It is, at the very least, interesting to see self-avowed, third-party Socialists being able to raise credible electoral challenges again in major cities – even if it’s just on a city council level – in what I’m guessing is the first time in many decades. The last mayor in a major city to hold office for a Socialist Party, in any case, was Milwaukee’s Mayor Frank Zeidler, who left office in 1960, though he was no revolutionary. (Even delving into smaller cities and towns, Wikipedians can only find one mayor who was elected on a socialist party ticket since: University Heights, Iowa – population 1,051 – had a Socialist mayor in the 1980s.) I’d suppose individual city council members might have survived longer, but presumably not very long? Both Sawant and Moore apparently ran wholly grassroots-focused campaigns, rooted in personal histories of local activism. Moore must have benefited from running in a small and something of an outlier ward even by Minneapolis political standards, but Sawant ran for an at-large seat for the whole city. Seattle may be a liberal city, but it’s not Madison, WI. So who knows, the near-success of these candidates might show that the Overton window could be slightly shifting back, when it comes to talk of socialism and leftist ideas. Meanwhile, in two years’ time Seattle is changing from a 9 member at-large city council to a 7-district +2 at-large one, which would allow Sawant, if she does lose, to try again in a specific, very liberal district within the city, much increasing her chances. There were state elections in Berlin, the capital of Germany and one of three city states among Germany’s 16 states, last weeekend. The results were somewhat surprising and fairly pleasing, and since I made a couple of maps that I have no place to put, I thought I’d revive our old blog. In all, 69.3% for left-of-centre parties, 29.7% for the right, and the remainder for hard-to-classify parties like the Alliance for Innovation and Justice (BIG), which received 0.5% but over 10% in some precincts (see below), and appears to be a conservative Muslim party. Regarding that 69% (oh, juicy) for the left, there’s a certain joy in just exclaiming: “hey, it’s Berlin!”. But even for Berlin this is an unusual result. In 2006 and 2001, the main leftwing parties pooled about 60% of the vote, and in 1999 only some 50%. The Social-democratic win seems largely due to the personal popularity of Mayor Klaus Wowereit, who was the center of a campaign largely focused on appealing to a kind of feel-good local patriotism. The party’s slogan was “Understanding Berlin,” which was also a bit of a dig against the Greens, who had parachuted one of their national party leaders, Renate Kunast, into the race. Kunast decided to challenge Wowereit at a time when polls suggested a neck-and-neck race between the two parties, with the once-dominant Christian-Democrats fading into third place. But Wowereit seems to have easily won the election campaign, with the last few polls showing his SPD at some 30% of the vote, the CDU at just over 20% and the Greens at just under 20%. Some pundits have blamed Kunast’s dogged aura of ambition and overly slick campaign, which proved an ill fit for challenging Wowereit, whom the New York Times once described as “charming, sociable and openly gay” and “a cuddly symbol of Berlin’s openness and tolerance”. At least as important, however, is probably how Kunast’s refusal to rule out a coalition government with the right-wing CDU chased parts of the Greens’ traditional alternative-lefty electorate into the arms of the Pirates. 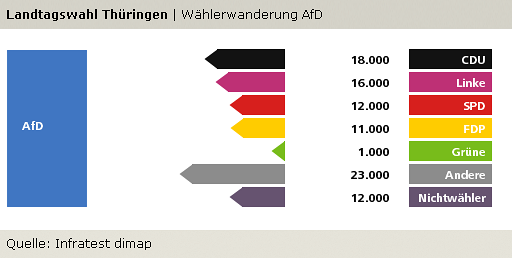 All that said, compared to five years ago the Greens actually won votes, and the SPD lost some. It’s actually the Greens’ best result in unified Berlin yet. It’s just that at a time that the Greens poll at around 20% nationally, getting less than that in the country’s Mecca of alternative culture is distinctly underwhelming. Despite their rivalry, the SPD and Greens still look likely to form a coalition government now, replacing the previous “red-red” coalition of Social-democrats and Leftists which no longer has a majority. But due to the surprise success of the Pirates, the two parties have ended up with an unexpectedly narrow majority of 76 to 73 seats. The two parties are sharply divided about the extension of a major highway, and theoretically the Social-democrats could still opt for a more ample majority government with the CDU instead. That would leave the entire opposition in the state parliament to the government’s left, however, and would probably be frowned on by the national SPD, which is keen to unambiguously set the course for a red-green government after the next federal elections. Meanwhile, the digital-rights Pirate Party has easily harvested the most international headlines with its shock success. If you don’t remember, the Pirates drew a fair bit of attention when a Pirate Party received 7% of the Swedish vote in the 2009 European Parliament elections. Subsequent electoral gains have been scarce, however: in the 2010 national elections in Sweden, for example, the Pirate Party received just 0.7% of the vote. Pirate Parties did win a number of municipal council seats in Germany, the Czech Republic, Spain and Switzerland, and the German Pirate Party received 2% of the vote in both the 2009 German national elections and 2011 elections in the states of Baden-Württemberg and Hamburg, campaigning on opposition to new data retention and Internet filtering policies. But this result is easily the Pirate Parties’ biggest coup since they first broke through. 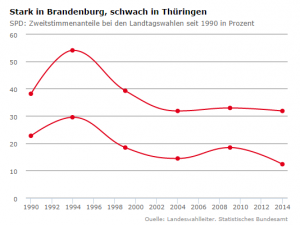 The result of the Left Party – a coalition of East-German ex-communists and West-German disgruntled trade unionists and other leftwingers – is a far cry from the 20+% which the ex-communist PDS received ten years ago. Especially in its core East-Berlin constituency, the party’s support has plummeted: it went from 48% of the East-Berlin vote ten years ago to 23% now. That’s the worst the post-communists have done there in state elections since the unification of Germany. The party’s result is also worse in comparison to 2006 than it may look at first sight: the Left Party has absorbed the WASG since the last elections, so you should really compared its result now to their pooled results five years ago. The Left’s decline could have various reasons. The WASG voters from 2006 seem to not have made the transition to the Left Party, and the Left lost relatively many voters to the Pirates. Having been Wowereit’s junior government partner for the past ten years, the Leftists have lost much of the critical left-wing profile they combatively honed in the 90s. Or who knows – maybe the eroding numbers for the Left could also be a sign that “Ostalgia,” and the resentment which the city’s “Ossis” feel of the know-it-all yuppies from the Western half of the city in particular, are fading. It’s been a while since the battle over the traffic light men. The extreme-right NPD, which is opposed to funding for commemorations of fascism, made waves with election posters that subtly featured the party’s leader on a motorbike and the slogan “Giving gas”, which the party’s activists made sure to plaster near synagogues and the like. It lost some support, however, getting 1.6% of the vote in West-Berlin and 2.9% in East-Berlin (down from 4.0%). For far more interesting information about these elections, check out the Berlin post on the ever reliable World Elections blog. There is still a massive difference between the voting behaviour in West-Berlin and East-Berlin, but it has gotten a lot smaller over the past ten years, thanks to the implosion of the post-communists in East-Berlin. 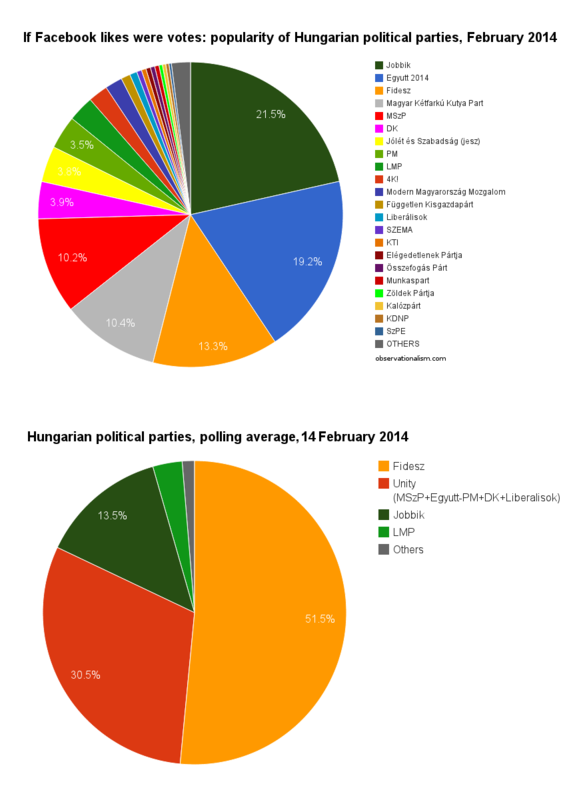 The Pirate party easily outdid all but the very last poll, which was mocked as unrealistic at the time by political enthusiasts. The Greens, the free-market liberals of the FDP and especially the Social-democrats, on the other hand, did worse than the polls had suggested. Some SPD voters may have started taking their party’s victory for granted and not bothered to come out, while a few FDP voters may have switched to the CDU when they saw that their party was unlikely to cross the 5% electoral threshold. (The CDU was the only other party to outperform the polls, if only by a sliver.) 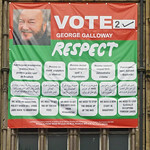 It was undoubtedly the Pirates’ success that did the most to keep the other parties’ vote lower than expected though. An analysis of voter ‘traffic’ by pollster Infratest dimap suggests that the Pirates primarily rallied non-voters (23,000) and voters of other minor parties (22,000). In addition, however, the Pirates won some 17,000 voters from the Greens, some 14,000 from the Social-democrats, and 13,000 from the Left. Those 22,000 voters that the Pirates won from other minor parties are interesting, by the way. 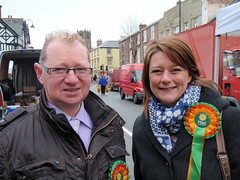 The two main minor parties last time that did not take part this year were the Greys – a party for the elderly – and the WASG, which received some 40,000 votes. 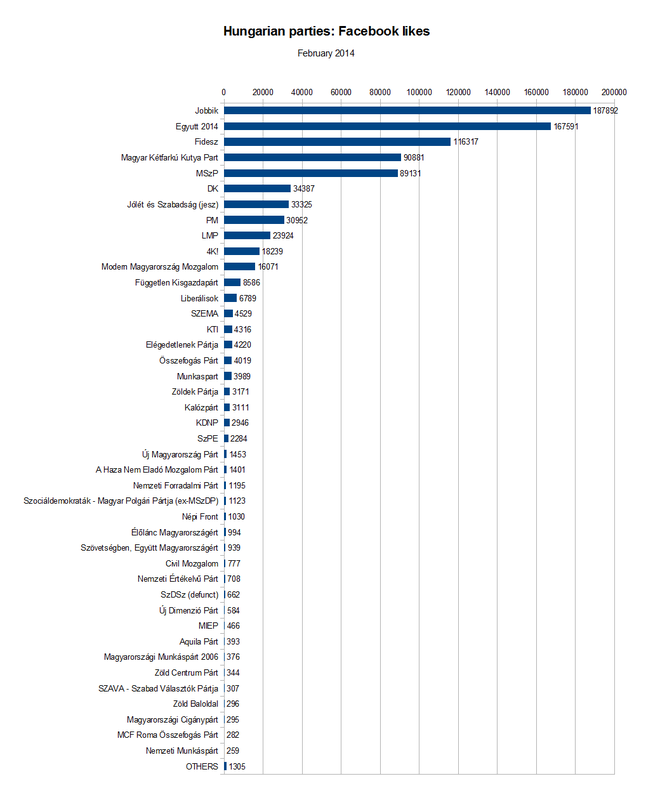 Since Pirate Party voters are the youngest of any party’s, it’s unlikely that they got much cross-over support from the Greys, so that would suggest that these 22,000 largely come from the WASG. In fact, the Infratest dimap analysis suggests just a net 2,000 voters going from “other parties” in 2006 to the Left Party now. The Pirates have won 15 seats – which is good, because they didn’t have more than 15 candidates on their city-wide list. In fact, they will have to forego on taking up a number of seats they won in the local district assemblies, because they didn’t have enough candidates listed. One poignant case in question is the district of Friedrichshain-Kreuzberg, where the Pirates did best. They won nine seats in the district assembly, which is enough to qualify them for one of the five positions (Stadtrat) on the district administration, which apparently are appointed proportionally. But first off, the Pirates had only eight candidates on its district list, so they can not fill one of their seats at all. Moreover, three further Pirates have been elected to both the Berlin city parliament and the F’hain-Kreuzberg district assembly, and they will have to choose which of the two offices to accept. In order to fill all of the Pirates’ 15 seats in the city parliament, all the double-electeds will have to give that job priority to the district-level one. That seems like an easy choice, except that if the three double-electeds from F’hain-Kreuzberg make that choice too, their caucus in the district assembly shrinks to five … and they lose their proportional post on the district administration to the Left Party. The perils of success! Friedrichshain-Kreuzberg may be my favourite electoral district of any kind anywhere. 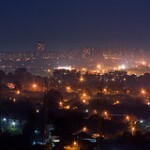 It’s got some 268,000 inhabitants, so we’re not just talking about some small niche community. 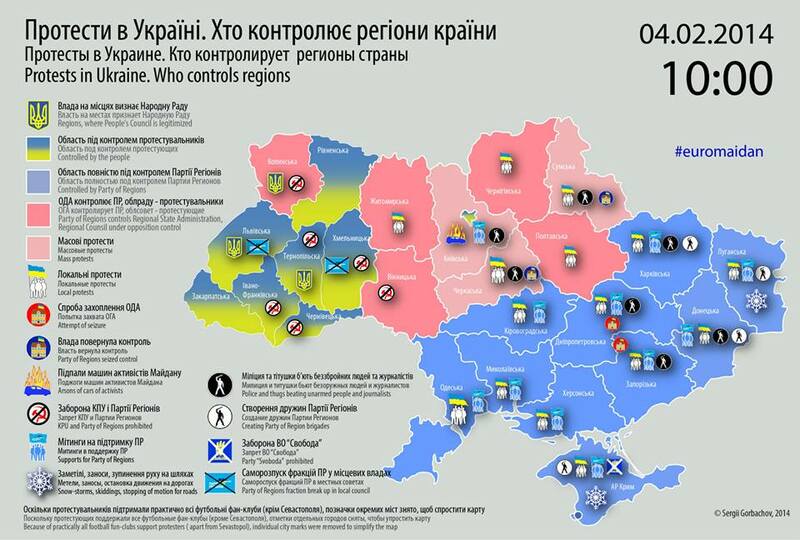 And it is reliably the most leftwing district of its size, I dare guess, in Europe. Among other things, it elected Germany’s first constituency MP for the Greens in 2002 (when the party had previously only MPs elected over party lists), and not just any Green either: Hans-Christian Ströbele. Who would you have voted? If you speak German you can check for yourself what you should have voted by using the Wahl-o-Mat for these elections. Predictably, I got the Greens first (74 out of 86) and the Left directly after (71 out of 86), though if I include the various miniscule splinterparties, a couple of extreme-left parties (B, DKP and PSG) manage to squeeze in between the two still. Various German news sites have published electoral maps showing the winner by city district. There are also great maps showing the winner, and party strengths and weaknesses, by individual city parliament electoral district. I like these ones on the US Election Atlas site (of all places) best. For the heck of it, however, I downloaded the excel sheet with results by individual precinct (as opposed to just by city district or city assembly electoral district). If you are interested in this level of detail, one site to look up for sure is the election.de section on the Berlin elections. Click on any city assembly electoral district, and you get a map of winners by individual precinct. It’s fairly rare to see electoral maps on that level of detail. Myself, I was mostly interested in which individual precincts were the best for each of the main parties – hence downloading the excel sheet. I only looked at actual, walk-in polling stations, and not at the processing of votes by mail; and I looked at the party list vote (“Zweitstimme”), in order to reduce the effect of a particularly popular local candidate (the election.de precincts map show the results by “Erststimme,” for individual candidate). The result: this map, which shows the top 5 results of the top 5 parties – though you’ll have to click on it to see it in full size. I colour coded the pins according to party colours: red is the SPD, black the CDU, green the Greens, pinkish the Left and orange the Pirates. Interestingly, both the Greens and the Pirates did best in the city district Friedrichshain-Kreuzberg, but their bulwarks were on opposite ends of the district. The Greens received 48% of the “second vote” in a precinct by the Fidicinstrasse, in South-West Kreuzberg. Four of the party’s top 5 results are in that part of Kreuzberg, in fact; and a full eight of its top 10 precinct were in Kreuzberg overall. The Pirates received 26% of the vote in a precinct covering the few blocks around the Boxhagenerplatz, in the heart of Friedrichshain. (I think I was at a festival in the little park there once). More strikingly, three of the Pirates’ top five results and all of eight of its top 10 results were in Friedrichshain. The Left Party received 43% of the vote in a precinct by the Schottstrasse in the Lichtenberg neighbourhood. All of four of its top 5 precincts were in the city district Lichtenberg, though its sixth-best result, at 41% of the vote, was in a precinct at the beginning of the Karl-Marx-Allee, just off Alexanderplatz. Judging on Google Street View, the party’s top two precincts are located amidst low-rise post-war housing blocks, while its third-best precinct is all major highrises. The SPD received 46% of the vote in a precinct among some mid/highrises by the Michelangelostrasse and Gurtelstrasse in upper Prenzlauer Berg / Weissensee. Yes, that’s in former East-Berlin, but the numbers 2 through 12 of the top precincts were all in West-Berlin. 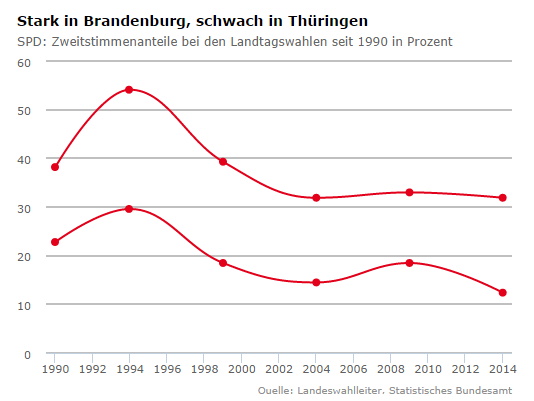 SPD precinct #2 is located amidst highrise blocks in Wedding; its precincts #3-4 consist of more highrise blocks, but in the suburb of Spandau. 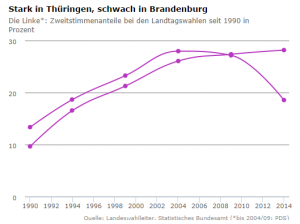 Six of the next nine top SPD results are in Spandau too. The CDU received 52% of the vote in a precinct by the Bernadottestrasse in Wilmersdorf. Very leafy: a clearly prosperous area. The party’s top 3 precincts actually covered adjoining ground: each covered bits of Grunewald / Schmargendorf that border the Berliner Forest. The only precinct the FDP received more than 10% of the vote in is located in Steglitz-Zehlenforf, bordering the Berliner Forest. Its next four best results were all in Charlottenberg-Wilmersdorf, similarly close to the forest, and two of them were also among the top 5 results for the CDU. Rich people, basically. The extreme-right NPD received 14% of the vote in a precinct by the Hugelschanze in Spandau Neustadt: an inconspicuous looking couple of streets, judging by Google Street View, fairly green, midrise buildings with a bit of graffiti. That’s in the West, but the party’s runner-up results #2-3 (12-13%) were both in Treptow-Kopenick, and its results #4-5 and #7-10 (10-12%) were all in Marzahn-Hellersdorf, all in the East. Its Treptow-Kopenick bulwarks consist of neatly kept-up post-war mid-rises and highrises, while its two best scores in Marzahn-Hellersdorf are adjoining plots of major highrises on the edge of the city. 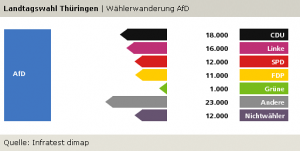 pro-Deutschland received 7% of the vote at a voting station in Marzahn-Hellersdorf, and some 5-6% in a total of around 15 further precincts, two-thirds or so of which were in either Spandau or Marzahn-Hellersdorf. FREEDOM received 9% of the vote in a precinct around the Idunastrasse up in Heinersdorf, city district Pankow. It received 8%, 5% and 5% of the vote, respectively, in three adjoining precincts in Heinersdorf, and also 5% at a polling station in Marzahn-Hellersdorf. The conservative-Muslim BIG party, which is being tied to the Turkish government party AKP and campaigned for migrant rights but also against the alleged promotion of homosexuality in schools, received just tenths of a percentage point on a city-wide level. But it won as much as 10-15% in ten precincts. Eight of them were in the city districts Mitte or Fr’hain-Kreuzberg; it seems to have done well in Wedding in particular. Its best result, however, was in a precinct in Neukolln, around the Heinrich-Schlusnus-Strasse, which in Google Satellite View looks like a 1970s architectural experiment gone horribly wrong.